Stanmore Library — eclipse experience Ltd.
How might we engage the public to redesign a local library so that it meets the needs of current and future users? Harrow Council asked Eclipse to design and deliver a user-centred public consultation and broader engagement around the redesign of its Stanmore library space. We focused on identifying new activities which could take place in the library. Activites that could meet the needs of current users and attract a wider and younger audience. We relied on a mix of both digital tools and face-to-face activities to co-create and evaluate these ideas with users, non-users, library staff and the Council. The most popular aspects of these ideas fed directly into the physical redesign of the space. As a result, the community received an updated library designed around potential use rather than just look and feel. We worked with Harrow Council to conduct a user-centred consultation that focused on new and improved uses of the Library. Uses aimed to attract 18 to 35-year-old non-users and to increase use amongst existing users. We developed an initial set of ideas with staff and users in the Library - using sketches on iPads to collect and evaluate ideas. We followed a similar approach with non-users but spoke to them in places where they currently engaged in activities related to these ideas. 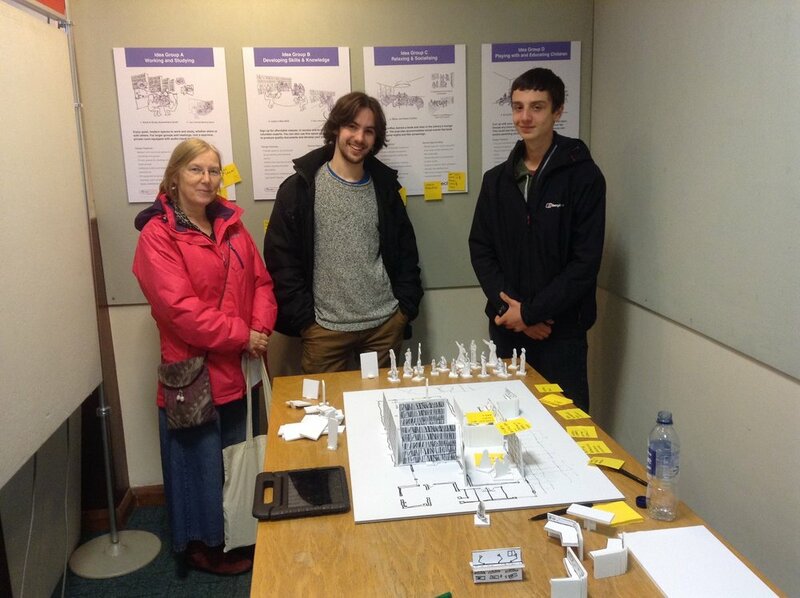 From this engagement, we identified four Idea Groups with the most potential to attract and sustain use, and we explored how these ideas could work during a drop-in consultation event in the Library. Staff, users and non-users came by to provide feedback and to build out these Idea Groups through interactive floor plans of the Library. People also expressed how willing they were to pay for services associated with each idea. This exercise uncovered both design tensions - such as providing both a lively space for kids to play and a quiet place for others to read and work - and service opportunities - such as renting out private meeting spaces for students and independent workers.The findings from this consultation work then formed part of the brief for the physical redesign of the Library. The Library at Stanmore opened to the public in April 2016. In the first six months, there was a 13% increase in new members compared to the same period in 2015. This work has also informed the refurbishments of other local libraries, such as the Kenton Library.